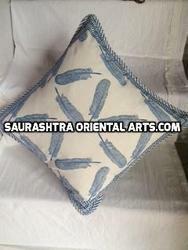 Hand block feather design cushion covers on 100% cotton. 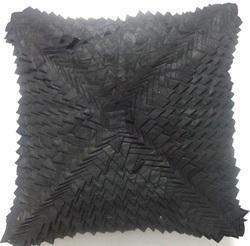 Made from premium quality material, our range of Feathers Cushions is widely appreciated by the clients. Designed keeping in mind the needs of the individual clients, our range of designer and attractive Cushions is available in different sizes and styles. We are looking for Queries from Maharashtra, Goa & Karnataka. we are engaged in offering a cushion, Cushion is a soft bag of some ornamental material, stuffed with wool, hair, feathers, polyester staple fiber, non-woven material, or even paper torn into fragments. It may be used for sitting or kneeling upon, or to soften the hardness or angularity of a chair or couch. Cushions and rugs can be used temporarily outside, to soften a hard ground. an elite pillow that makes your bed feels like a presidential suite. Pearl goose down & feather is our high end pillow - with a touch of ultimate soft luxury. The natural filling produces a pillow that's very much soft.